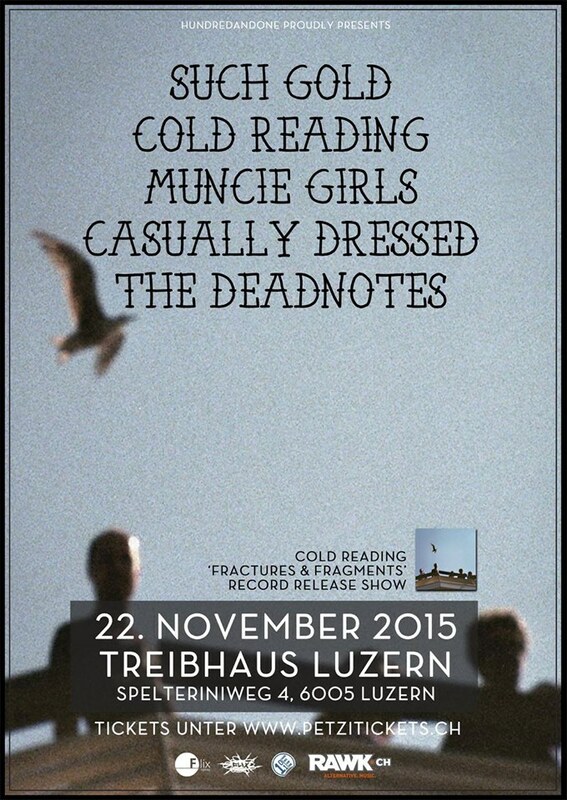 The show on November 22nd at Treibhaus, Lucerne, will be the last date of our tour with Such Gold. We use this occasion to do a proper release show of our debut album Fractures & Fragments. To add to the fun, our friends in Muncie Girls, Casually Dressed and The Deadnotes will be part of it as well. It goes without saying that we’re beyond excited for this one!